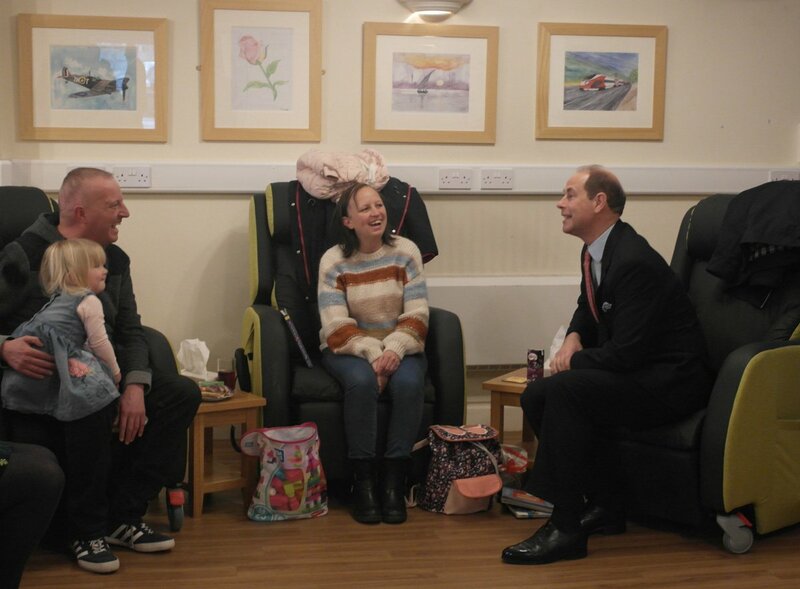 The Earl of Wessex was in Cheshire today, November 19. 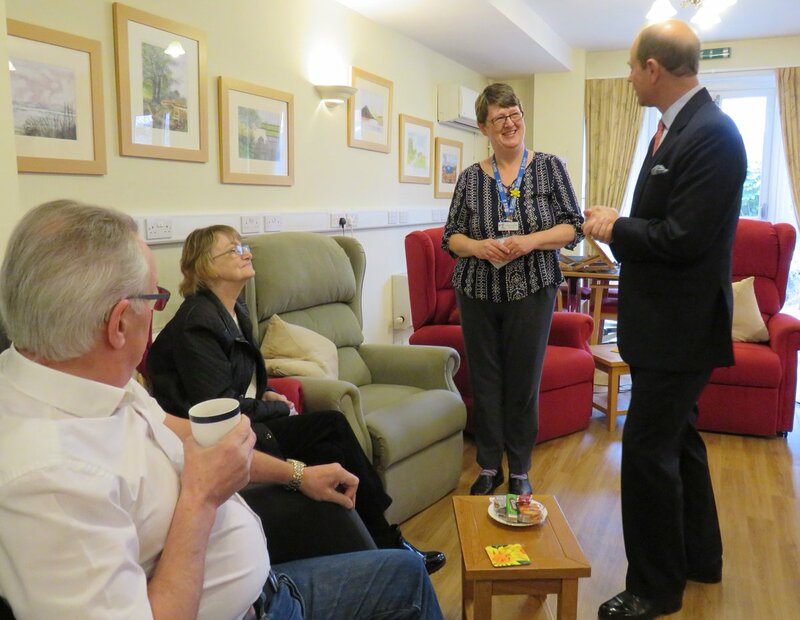 He visited St Luke's Hospice (1-3) Neston High School (4 & 5 + article) and Bridge Community Farms Community Interest Company. Later he hosted a reception at Buckingham Palace for the Women's Network Forum. A visit to Gussie's Kitchen at St Augustine's Church in Chesterfield was cancelled due to the bad weather. The Earl of Wessex, Patron, the Tennis and Rackets Association, this afternoon attended the Real Tennis Open Championships at The Queen’s Club, Palliser Road, London W14. His Royal Highness, Trustee, The Duke of Edinburgh’s Award, this evening held a Dinner at Buckingham Palace. 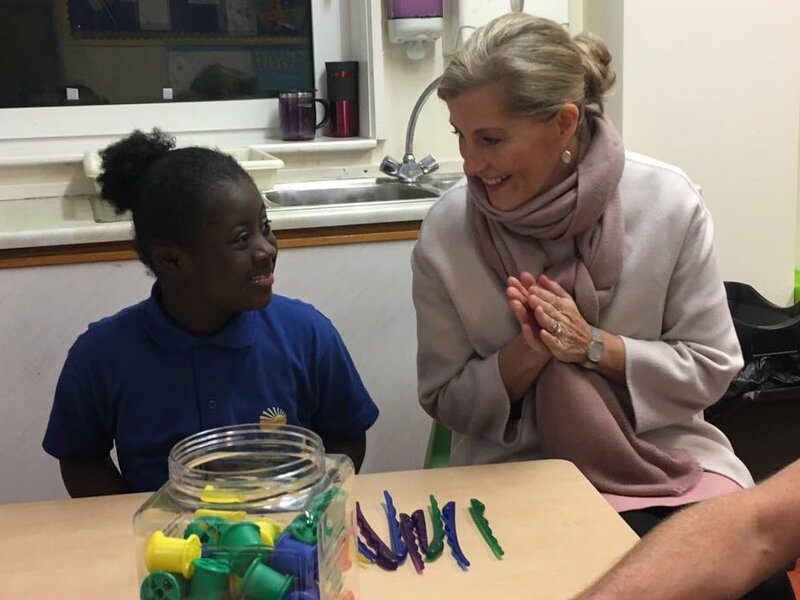 The Countess of Wessex this morning visited Fairfields School, Trinity Avenue, Northampton, to mark its Eightieth Anniversary, and was received by Her Majesty’s Lord-Lieutenant of Northamptonshire (Mr David Laing). 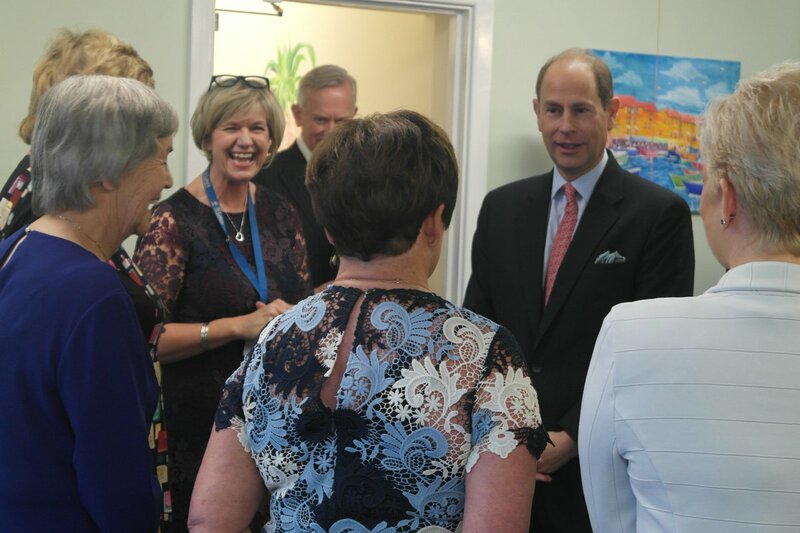 Her Royal Highness this afternoon visited the David Nieper Factory, Saulgrove House, Nottingham Road, Alfreton, and was received by Her Majesty’s Lord-Lieutenant of Derbyshire (Mr William Tucker), and subsequently opened the David Nieper Academy, Grange Street, Alfreton. 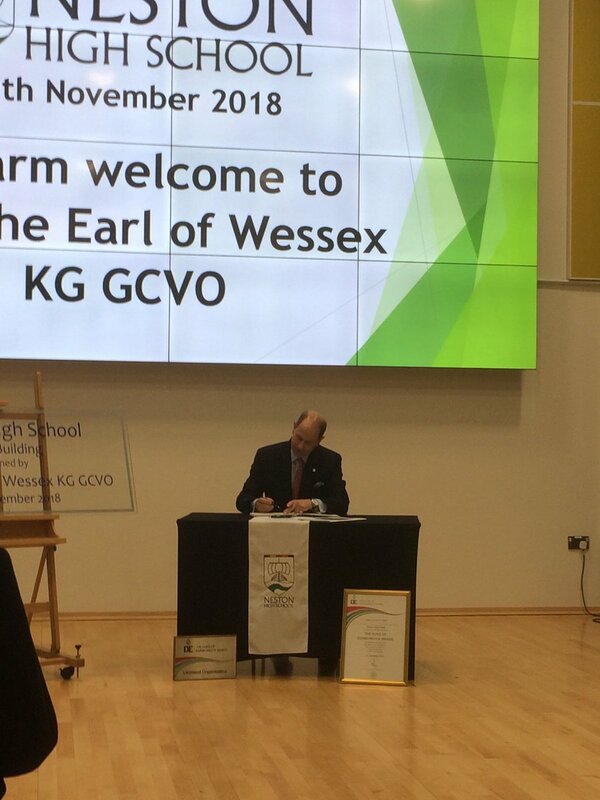 The Earl of Wessex, Patron, Chilean British University, this morning held a Meeting. 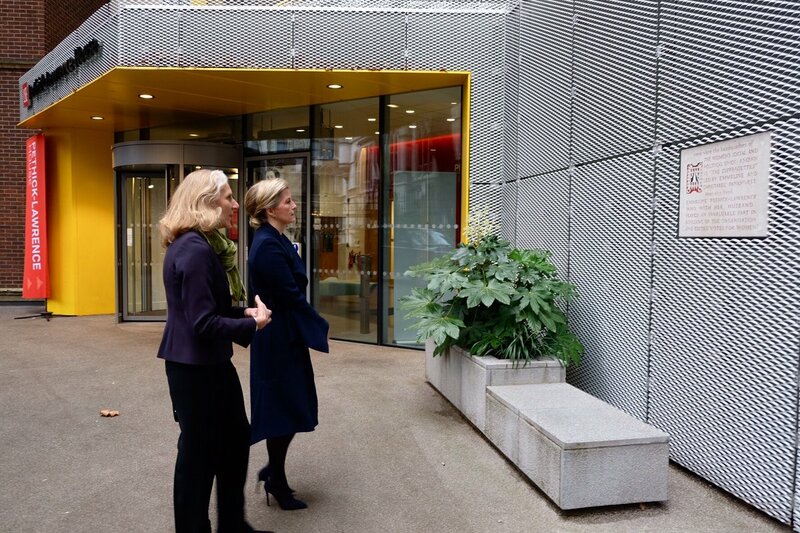 The Countess of Wessex, Patron, London College of Fashion, this afternoon held a Meeting. Her Royal Highness, Patron, Shooting Star Chase, this evening held a Reception at Buckingham Palace. The Earl of Wessex, Chairman of the Board of Trustees, The Duke of Edinburgh’s International Award Foundation, this morning visited Middlesex University Real Tennis Club, the Burroughs, London NW4, as part of His Royal Highness’s The Duke of Edinburgh’s Award Real Tennis Tour, and was received by Mr Martin Russell (Deputy Lieutenant of Greater London). His Royal Highness, Trustee, The Duke of Edinburgh’s Award, this evening attended a Dinner at Allianz Park, Greenlands Lane, London NW4. 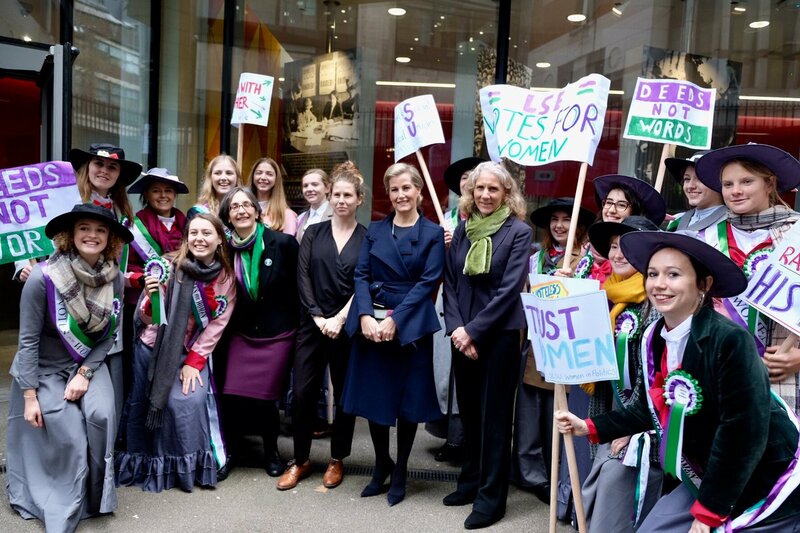 The Countess of Wessex this morning attended a Women, Peace and Security Meeting at Lancaster House, London SW1. Her Royal Highness today received Dr Denis Mukwege (Founder, Panzi Hospital). 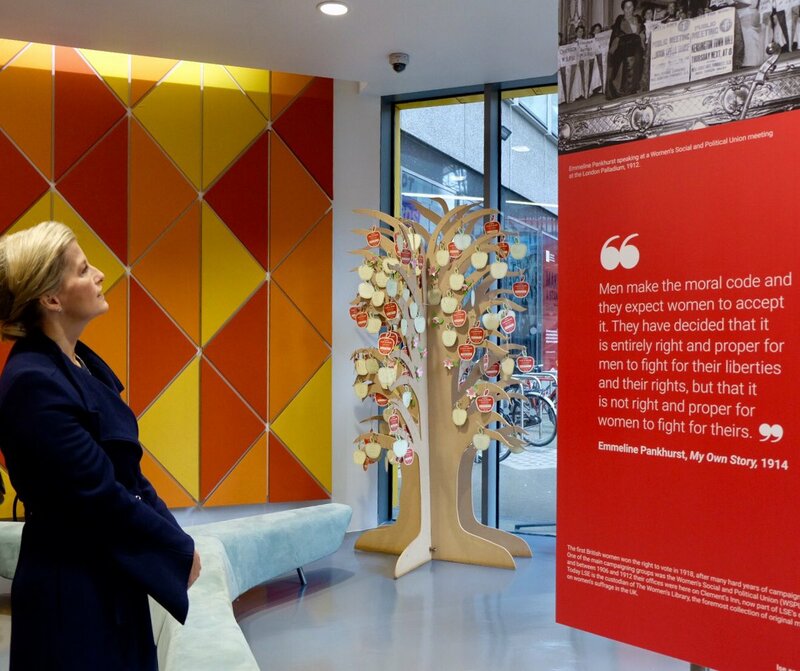 The Countess of Wessex this afternoon received Ms Pramila Patten (women’s rights activist). Her Royal Highness, Colonel-in-Chief, Corps of Army Music, subsequently held a Meeting. 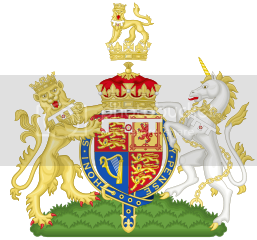 The Countess of Wessex, Patron, the National Society for the Prevention of Cruelty to Children, this evening attended a Dinner at the Foundling Museum, 40 Brunswick Square, London WC1. 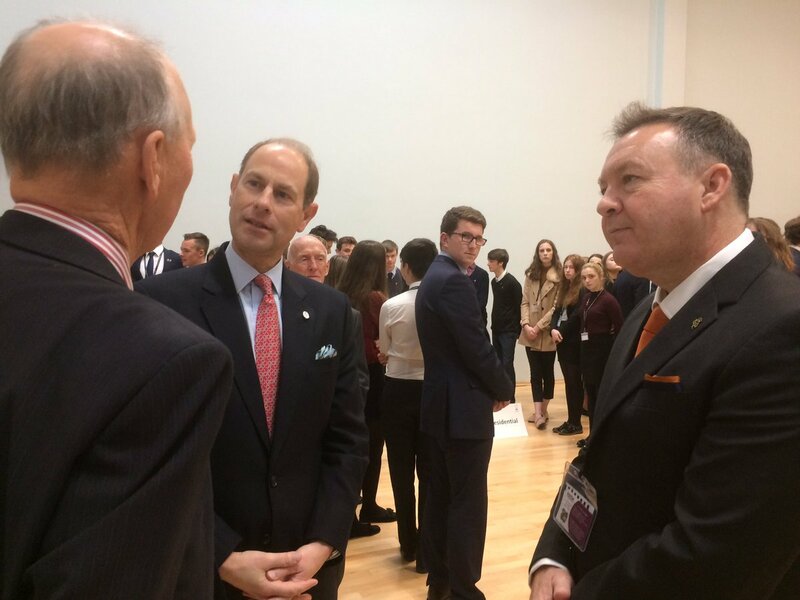 The Earl of Wessex, Patron, Badminton Scotland, this afternoon attended the Scottish Open Badminton Grand Prix at the Emirates Arena, 1000 London Road, Glasgow, and was received by Mr John MacLeod (Deputy Lieutenant of Glasgow). 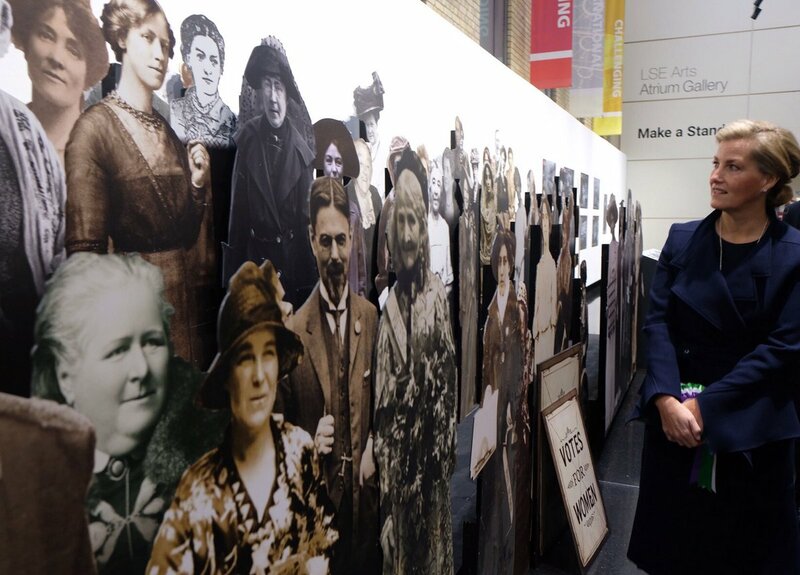 His Royal Highness later attended a Meeting with representatives from Historic Scotland at the Emirates Arena. 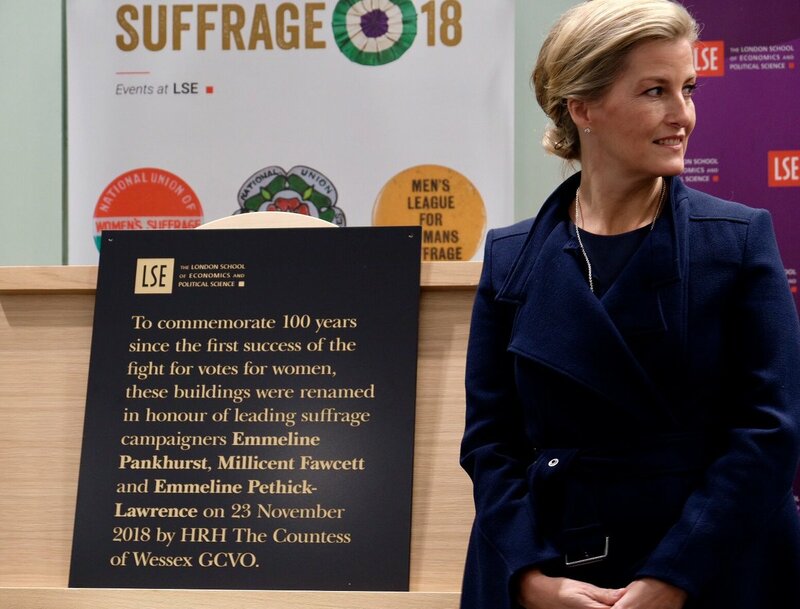 The Countess of Wessex this morning attended the Renaming of the LSE Towers at the London School of Economics and Political Science, Houghton Street, London WC2. 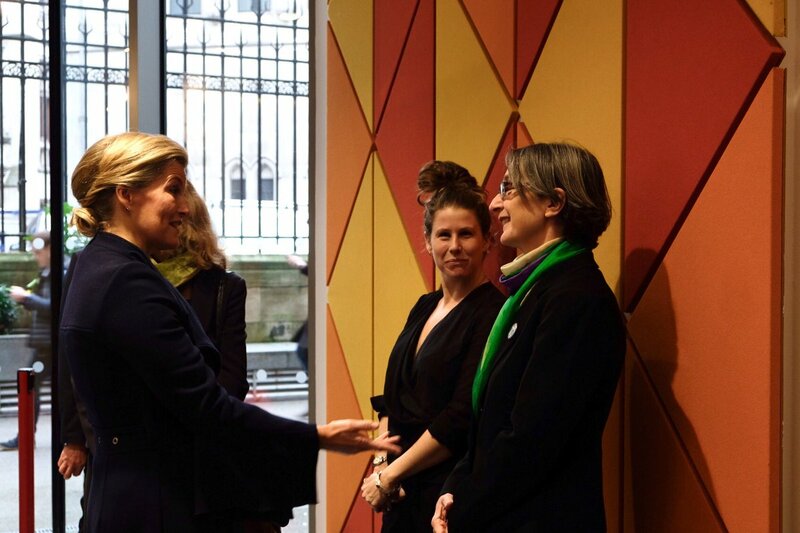 Her Royal Highness this afternoon attended the Prevention of Sexual Violence Initiative Film Festival at the British Film Institute, Belvedere Road, London SE1. 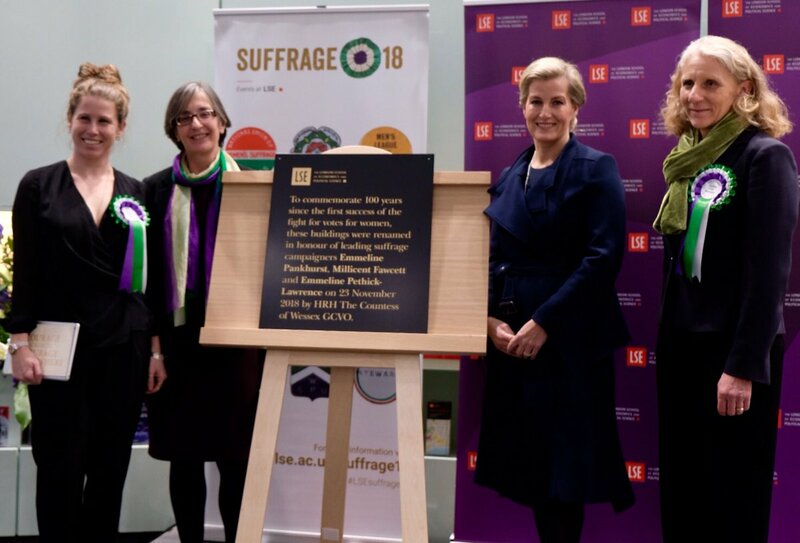 Countess of Wessex visited today 23 November The London School of Economics and Political Science LSEnews to rename three campus buildings after key figures in the British suffrage movement. And met with the Angelina Jolie at the Fighting Stigma Through Film festival for the Preventing Sexual Violence In Conflict initiative. Very very interesting public appearance. 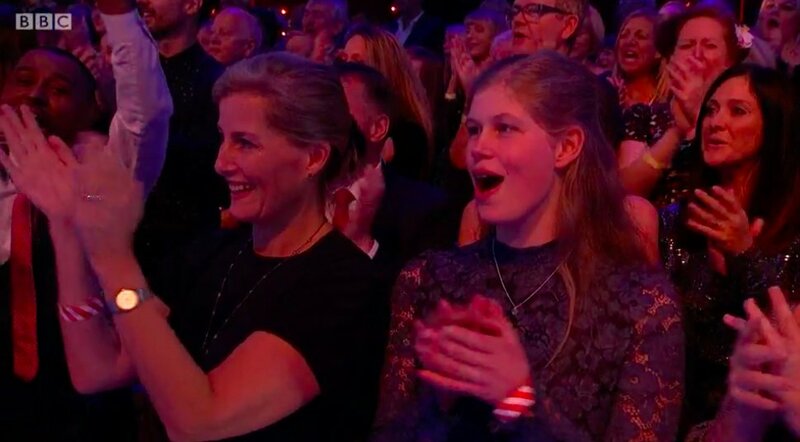 Nice to see them among the audience! I can imagine it was Louise's wish to attend. I can imagine it was Louise's wish to attend. I can equally imagine it was Sophies idea, the program is very popular with most ages but particularly the mums of Sophie's age. I think its hugely popular with mothers and daughters alike so it was probably a nice girls night out for them. Wonder what Ed and James are up to in the mean time. If their household is anything like mine when my mum was out for the night, we got to eat sweets. Lovely to see Sophie and Louise enjoying some mum and daughter time. I’m very jealous as I love strictly. I was really shocked to see them appear on screen that I almost jumped out of my seat. They both looked to be having a lot of fun. They will also probably appear on tomorrow’s episode as the results are filmed straight after. Maybe Edward had an early night and James went joy-riding in the Land Rover again. Sophie will be cross when she gets home! Ah; I'm watching Strictly now so it was fun to see this! Claudia Winkleman, one of the presenters, is Lady Frederick Windsor's half-sister so perhaps she invited them into the audience (otherwise for us regular folks getting into the audience is a bit like picking names out of a hat - if you apply there's no guarantee that you will be selected to see the show live). Louise looks like she was having a great time - she looks really grown up. The Earl of Wessex, Trustee, The Duke of Edinburgh’s Award, today attended Receptions at St James’s Palace for young people who have achieved the Gold Standard in the Award. His Royal Highness, Chairman of the Board of Trustees, The Duke of Edinburgh’s International Award Foundation, this afternoon held a Meeting. 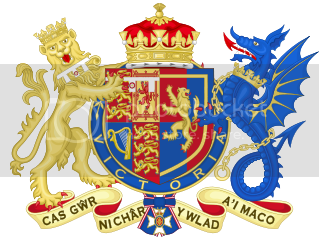 The Earl of Wessex, Patron, the National Youth Theatre of Great Britain, this evening attended a Dinner at Café de Paris, 3-4 Coventry Street, London W1. 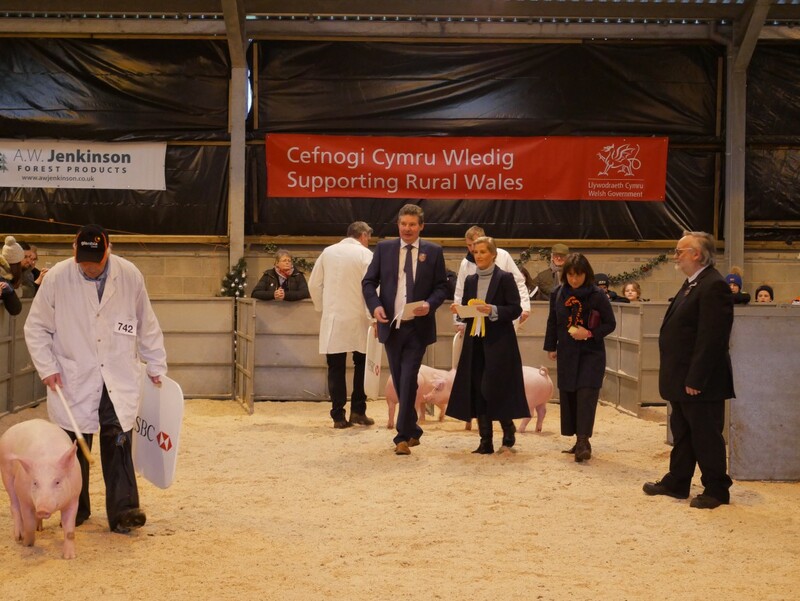 The Countess of Wessex, Patron, Association of Show and Agricultural Organisations, this morning attended the Royal Welsh Winter Fair, Royal Welsh Showground, Llanelwedd, Builth Wells, and was received by Her Majesty’s Lord-Lieutenant of Powys (Mrs Tia Jones). His Royal Highness, Trustee, The Duke of Edinburgh’s Award, this afternoon held a Lunch at Buckingham Palace. The Earl of Wessex, Patron, the London Mozart Players Trust, this evening held a Concert at Buckingham Palace. 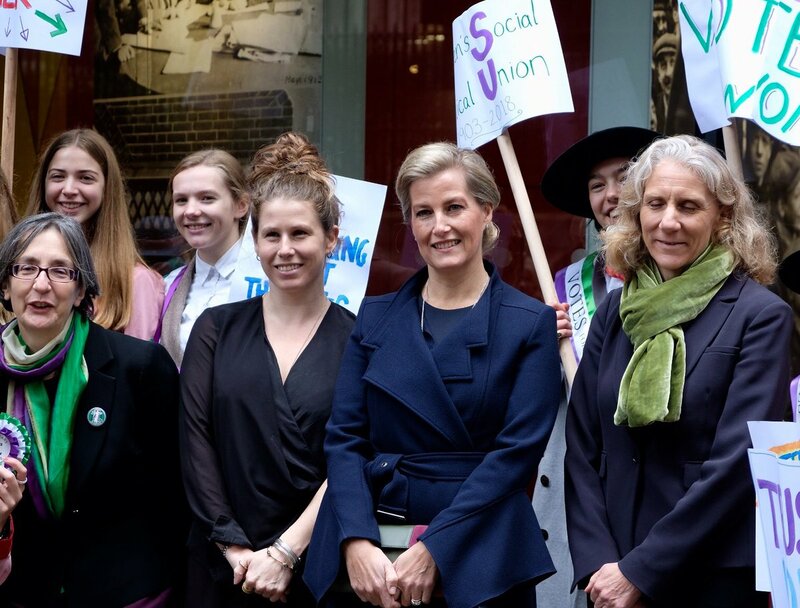 The Countess of Wessex, Patron, Disability Initiative, this morning held a Meeting. Her Royal Highness, Patron, Defence Medical Welfare Service, this evening held a Dinner.